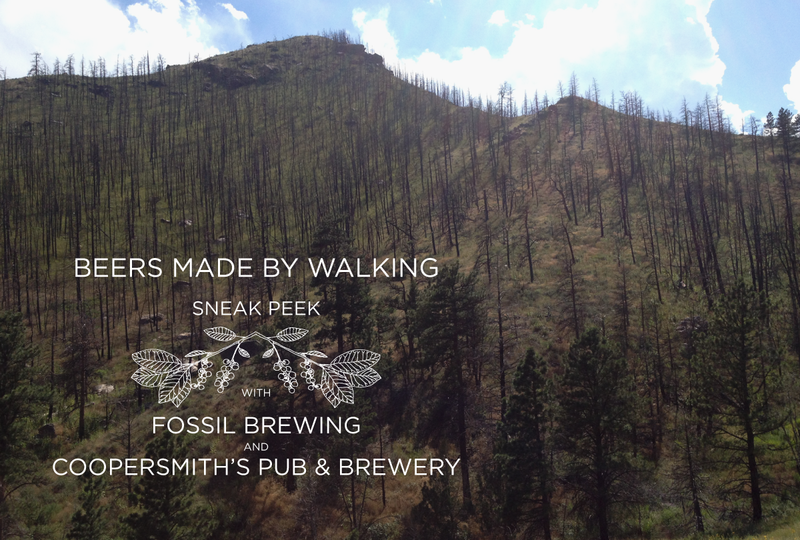 Today we continue our series of sneak peeks for the Denver Beers Made By Walking Festival. Beers Made By Walking invites brewers to go on nature hikes and make beer inspired by the plants that are found along the trail. 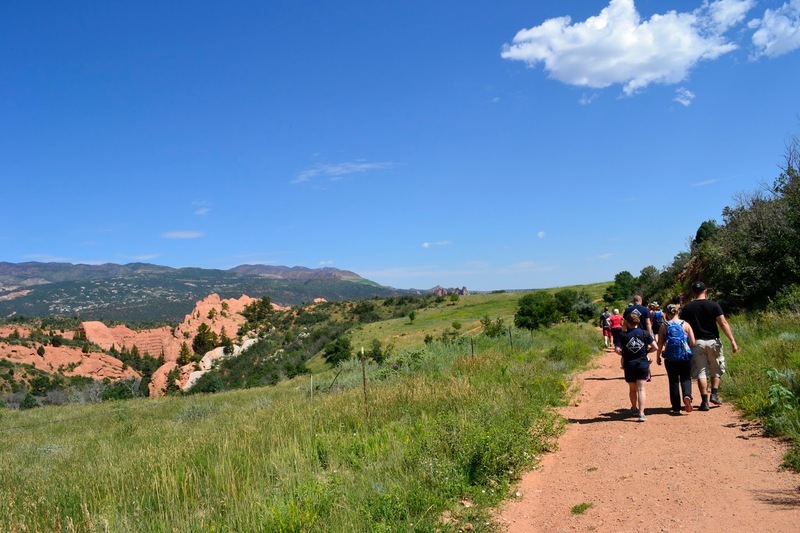 This preview will show you the hikes that Fossil Brewing of Colorado Springs and Coopersmith's of Fort Collins undertook to find inspiration. You'll also learn a little about the beer they're planning, or at least the ingredients they intend to use. Their beers will be a part of the BMBW Fest on October 3rd in Denver. Fossil Brewing Company owners Josh and Colleen Bye and Rich Benson along with a dozen hikers journeyed a three mile loop through Red Rocks Open Space. Local biologists, Tyrel Woodward and Ed Schmal led the hike, identifying various edible and medicinal plants. The open space provides a series of trails through ridges, canyons, and grassy openings. A past history of human use has left the area with unique landmarks including stone quarries and gold mills. The extensive amount of precipitation the area has received this summer has left the open space rich with plants and wildlife. Woodward and Schmal helped us identify a variety of plants; three-leaf sumac, horehound, wax currant, wild licorice, prickly pear cactus, chokecherry, and golden rod. After the hike, we met at Front Range BBQ to grab a beer and enjoy some lunch. The brewers seemed very pleased with the finds along the hike as well as the interest and support from locals. The brewers are considering horehound, sage, juniper, and currant, while leaning toward a saison base to present at the festival on October 3rd at Wynkoop Brewery. 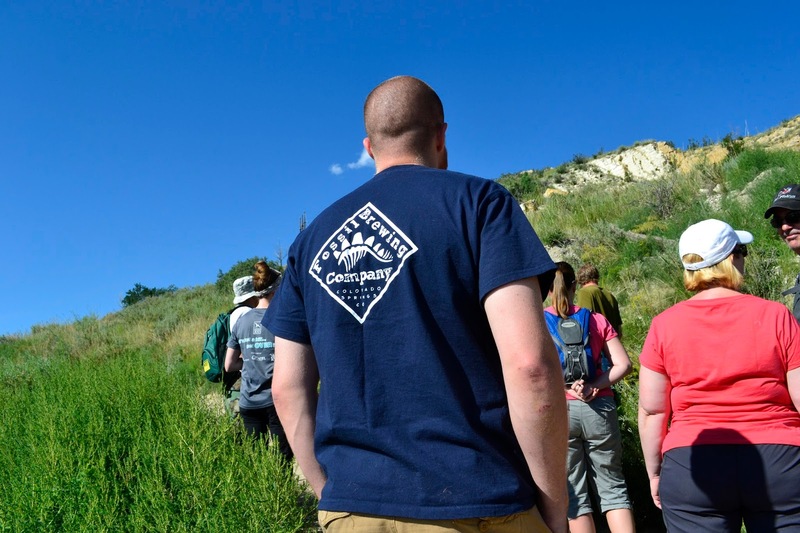 Brewer Mike Hiatt of CooperSmith’s led an intimate, private hike of several CooperSmith’s employees on the Grey Rock Meadows Loop Trail up the Poudre Canyon. This area had extensive fire damage two years ago, so we got to witness some of the new growth through the mountains. Because Colorado has had so much rain this year, the trail was incredibly lush and full of much more greenery than usual. Mike’s degree is in Botany, so he was able to identify many plants like chokecherries, crabapples, elderflower, prickly pear cactus, yucca, and more along the trail. Mike was extremely excited and inspired by the hike. Though it was one of the hottest days of July, and the group had to cut the hike short because of the climbing temperatures, Mike’s spirit was elevated. When we returned to CooperSmith’s following the hike for a refreshing drink, Mike was bouncing all kinds of ideas for a beer based on the landscape we trekked through. He thinks he has decided on a Chokecherry Gose to present at the BMBW Festival on October 3rd. This style sounds look it could be a great combination, slightly fruity, slightly tart, sweet and savory all in one. We are excited to try the two beers that come out of these hikes. They'll be available along with about 30 other place-based beers at our Beers Made By Walking Festival on October 3rd in Denver. The event takes place during the weekend of the Great American Beer Festival. Tickets are $40 for unlimited access to the BMBW beers and many of the brewers will be pouring their own beers. More details, including a list of participating breweries, is here. We hope to see you there!